Here to introduce you to a light you may not yet know about----Streamlights first hand-held lithium battery-powered programmable flashlight, the ProTac HL. A flashlight providing 600 lumens of light with 245 meters of beam distance at only 5.25", making it the brightest flashlight in the ProTac series! 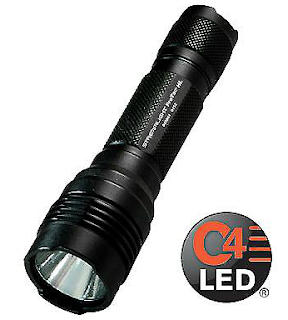 It's got the C4 LED technology we all love, with Ten-Tap programming with operating modes and different beam intensities. This light is impervious to shock with a 50,000 hour lifetime. With the push-button tail switch it makes it an easy one-hand operation, and with the option of the clip, helps to make it versatile to fit your needs! This light is even waterproof up to 1 meter and comes with a limited lifetime warranty, making this a great tactical light for some of the toughest situations. Check out further details on our website or buy yours now!